Cologne, Germany (October 2, 2018) – Cardo Systems, the global market leader in wireless communication systems for motorcyclists, and Bosch SoftTec, the pioneer in innovative solutions for the connected vehicle, have come together to integrate the Cardo Connect iOS and Android smartphone application into Bosch SoftTec mySPIN for two-wheelers. The award-winning technology will enable convenient use of Cardo Connect on motorcycles and other two-wheelers for a whole new connected riding experience without compromising safety. The Cardo Connect application is now available for use with mySPIN for two-wheelers. Once the rider’s smartphone has been connected to the motorcycle, the bike’s display, as well as the control knobs and buttons on the handlebars, can be used to access data on the phone and control the rider’s favorite apps. With the integration of Cardo Connect, riders have a seamless interface to manage and control Cardo PACKTALK and FREECOM communication systems safely and intuitively during their ride without endangering themselves or others.  ” As Cardo is the market leader in wireless communication systems, we were very excited to partner with them from the start. They offer cutting edge communication systems via Bluetooth and DMC, and accessing them through mySPIN provides a fluidic communication channel with their easy-to-use Cardo Connect app to end users. 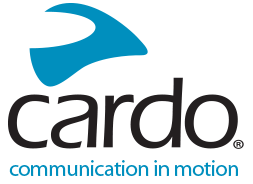 Cardo Systems specializes in the design, development, manufacturing and sale of state-of-the-art communication and entertainment systems for motorcycle riders. Since launching the world’s first Bluetooth system for riders in 2004, Cardo has pioneered the vast majority of innovations in the motorcycle communication market, including the recent introduction of the first mesh-communication products for group riding.